Summary: There's very little not to like about this 15-inch Asus ROG Strix GL504GM. 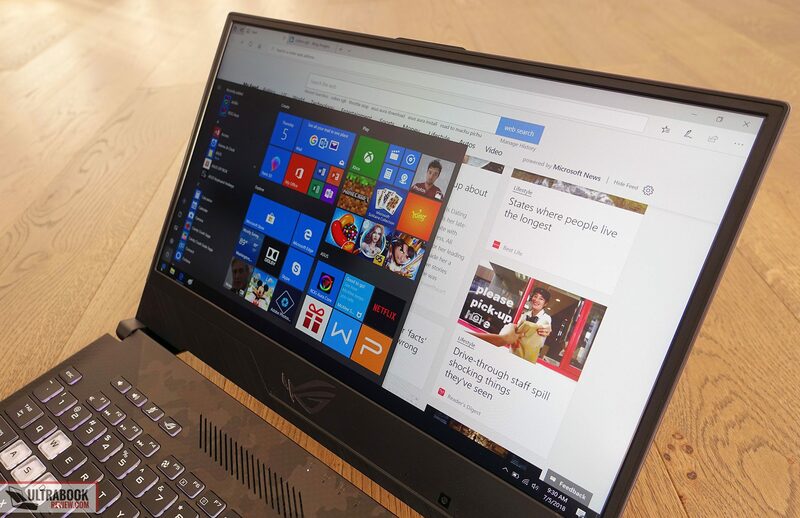 The build, the keyboard/touchpad, the display, the speakers, the hardware and especially the way this device performs in everyday use and with games are among the best you can find in a mid-range full-size laptop. But there are still some quirks you'll have to accept, as well as the fact that this computer is more expensive than most other alternatives with similar traits. 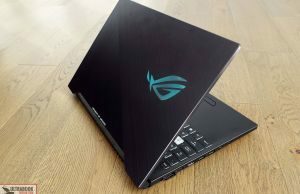 Asus offers some of the better mid-range gaming laptops available in stores with their ROG Strix lines, and for 2018 they’ve completely revamped the 15-inch models, upgrading the design, screens and internals. 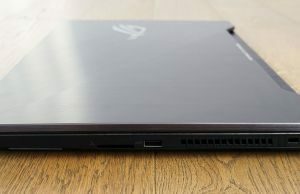 We’ve looked at the ROG GL504 series in a previous article, and in the meantime, we’ve also spent more time with the ROG Strix GL504GM SCAR II model and gathered all our impressions in this review article. 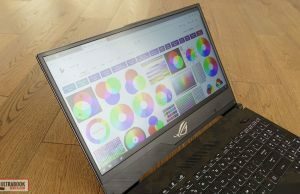 You’ll find all about its strong points and quirks in the paragraphs below, but as a quick spoiler, Asus did a really great job with this computer. Not only is it more compact than the previous GL503s, but it also performs better, runs cooler, packs a larger battery and a 144 Hz screen. There’s still no GSync in the GL504GM model that comes with Nvidia GeForce GTX 1060 graphics, and there’s no Thunderbolt 3 port either, but these aside, there’s actually very little to complain about it. 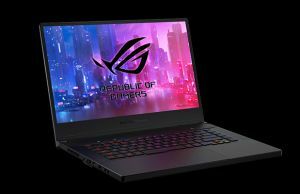 Well, perhaps except for the price, as the ROG GL504GM is more expensive than similarly configured laptops offered by other OEMs, albeit the premium is overall justified by what you’re getting. 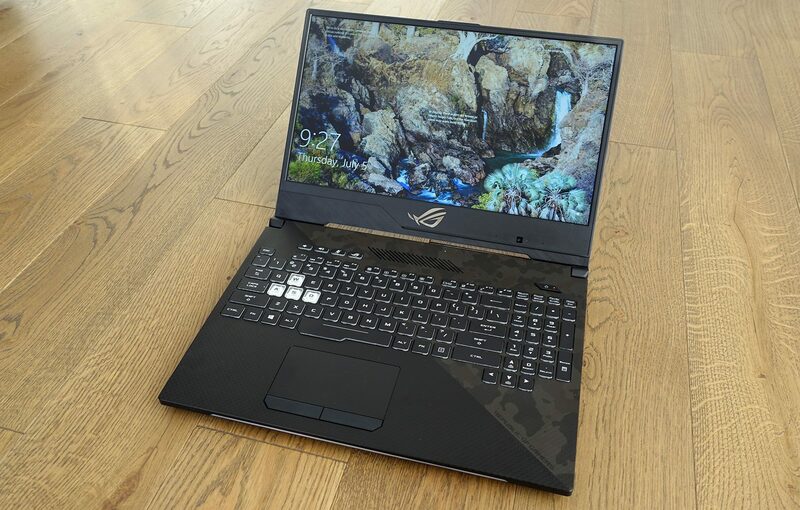 Asus also offers an ROG GL504GS model, similar to the GL504GM in every way, except for the fact that it gets a more powerful Nvidia GTX 1070 graphics chip. 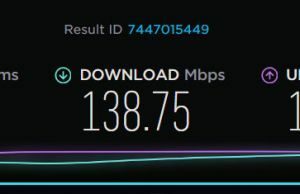 It’s more expensive, but an option for those of you interested in playing games at higher than FHD resolutions or keeping the laptop for a very long time. Regardless, we’ll talk about the GTX 1070 model in a different article once we get to review it, this one is all about the mid-range GL504GM with the GTX 1060 GPU. 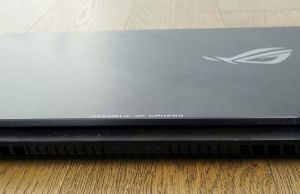 Update: Our review of the updated 2019 ROG GL504GW is also available over here, in case you’re interested in one of the better RTX 2070 laptops out there. 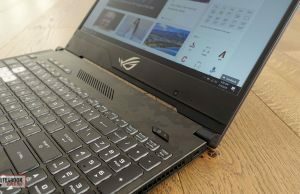 The 2018 update of the ROG Strix line follows a trend we’ve seen with other manufacturers: is more compact than the predecessors, with a smaller footprint and narrower bezels around the display. There’s no doubt this particular aspect makes it more aesthetically appealing, but I don’t think it’s going to make that big of a difference in actual use. I do however like the fact that the bezel underneath the panel is bigger and pushes the screen higher into a more ergonomic position in front of my eyes. What I don’t like is the camera’s placement on this bezel, and not even in the middle, but towards the right corner, which makes it rather annoying to use. These aside, the GL504s are actually a tad heavier and thicker than the GL503 models, and the overall weight matters more imo than the size in the grand scheme of things. One step at a time though, this time they went after the size, next time they might do something about the weight as well. At 5.3 lbs though, the GL504GM sits between its direct competitors, heavier than the MSI GS65 Stealth Thin, Gigabyte Aero 15x or even the Lenovo Legion Y730, but lighter than the Dell G7 7588, the MSI GE53 Raider or the Acer Helios 300, so it’s not difficult to lug around by any means. 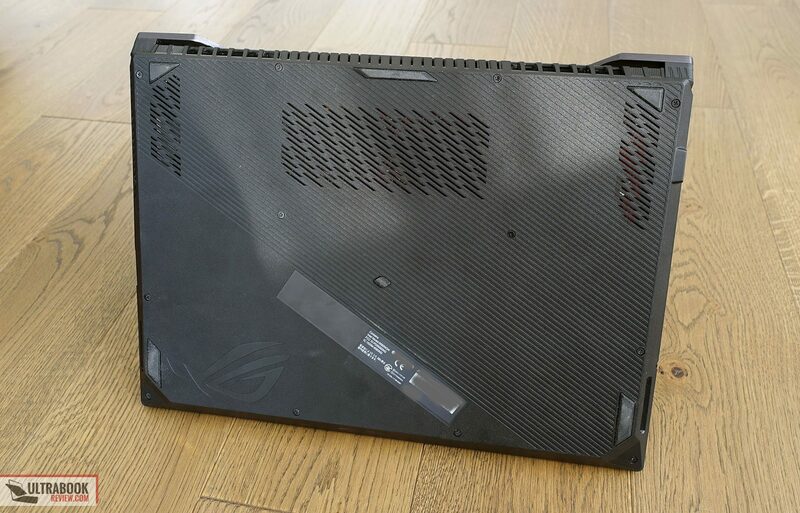 As far as the build goes, the ROG GL504GM is sturdily made, with no significant flex in the keyboard deck or the screen frame, despite the fact that plastic is used for the inner chassis and most of the outer shell, with just a metal sheet on the lid-cover. The design lines borrow from the Zephyrus models, with a boxy construction and straight cut sides with beveled edges, so they’re not sharp or uncomfortable on the wrists. Aside for the choice in materials, the 2018 ROG Strix keeps most of the design gimmicks that scream GAMING. 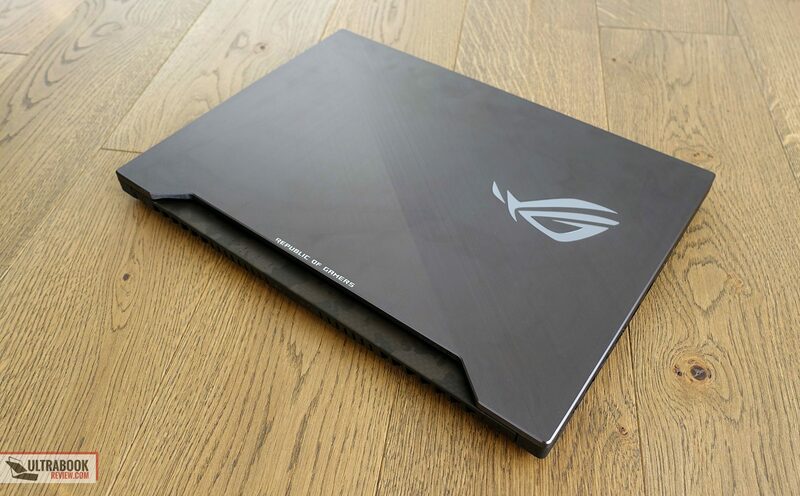 The exterior is fairly simple at least, with brushed metal on the hood, but also with a huge backlit RGB ROG logo out here, which will make this notebook hard to accept in more strict business environments. There’s also a light-bar on the front lip, and although I normally hate light bars, this one is fairly subtle and gives the laptop a nice touch. My sample had some issues with the Aura software that controls the keyboard’s illumination and should allow to control the logo and light bar as well, so I can’t tell for sure if there’s a way to control these two independently of the keyboard. This is something I should further look into. And then there’s the interior, with a mix of carbon fiber on the palm-rest and lower half, combined with a camouflage pattern for the rest. 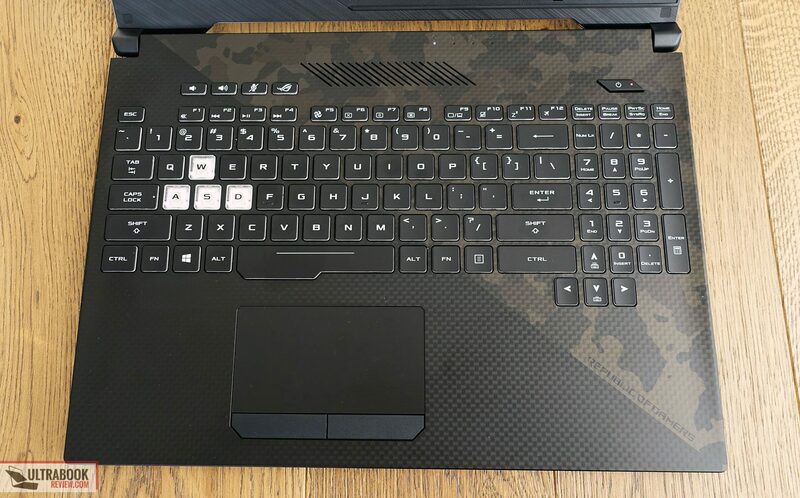 All these design elements are somewhat inspired from the weapon that gives the series’ name, the FN SCAR riffle, and suggests this is a laptop for FPS games, in corroboration with the hardware inside and the fast screen, but imo greatly limits the pool of potential buyers that might not appreciate such gimmicks or simply want a computer they can also take to work. 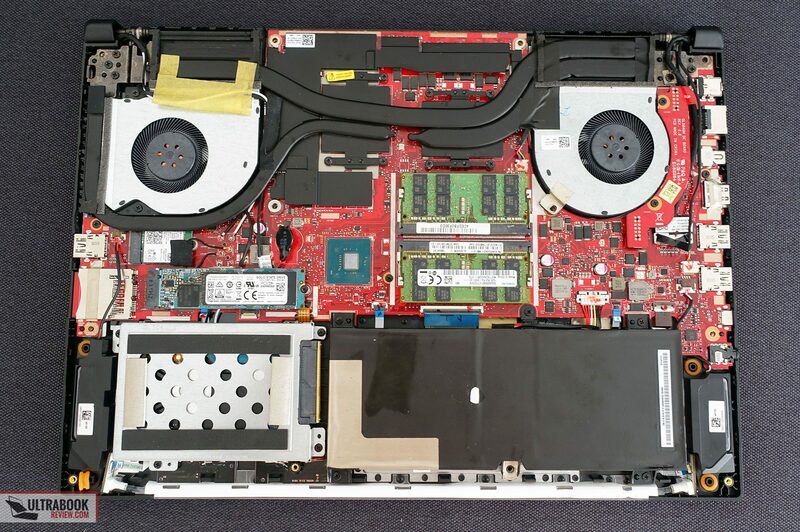 That’s subjective of course, so in the end it’s up to you if this laptop’s looks rubs you the right way or not. 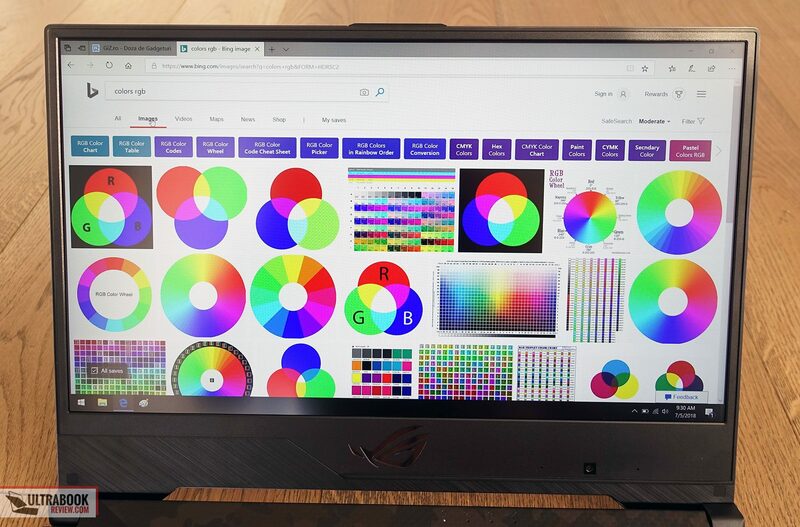 When it comes to the more practical aspects of using this computer everyday, there are few things to complain about. It sits well on the desk thanks to the big rubber feet on the bottom. It gets all the right ports lined on the sides, with most of them placed on the left edge, which leaves space for a mouse on the right. It also gets a well anchored screen that leans back to about 145 degrees, hold in place by two small, but sturdy, hinges. The screen is also easily adjustable with a single hand, and there’s even a knob on its lip to allow you to easily lift it up. 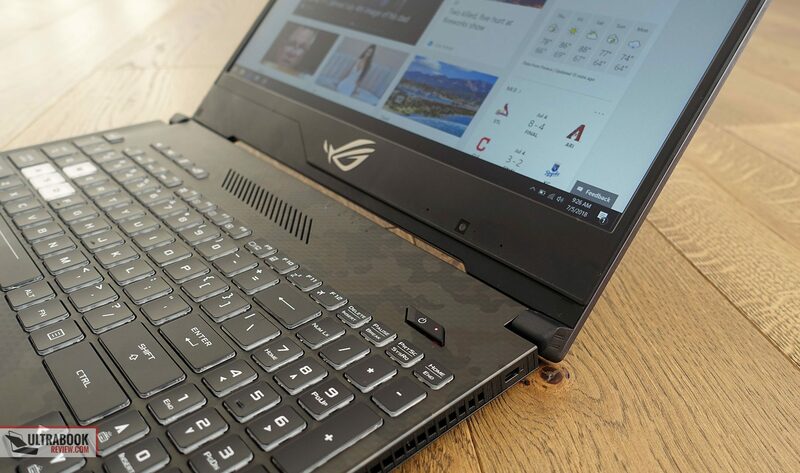 Cooling is of course a crucial aspect on a gaming laptop, and the previous ROG Strix GL503 models struggled on this aspect. 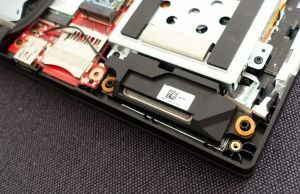 With the GL504, Asus upgrade both the outer and inner designs of the cooling system, with bigger fans and a more complex heatpipe system inside, but also spacious intake and output grills on the bottom panel, on top of the keyboard and around the back and right edge, for extra GPU cooling. We’ll get in-depth on these further down in the Emissions section. 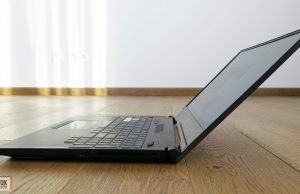 One final aspect I don’t like when it comes to using this laptop is the fact that the power button is always lit and the status LEDs are placed beneath the screen and can get a little annoying when playing games in a dark room or especially when trying to watch a movie at night. 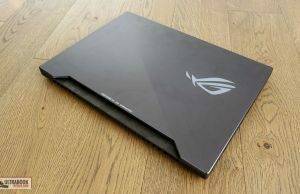 All in all though, I feel that the ROG Strix GL504 improves on the previous GL503 models in terms of build and design. It’s more compact and with very few exceptions, ergonomic to use. 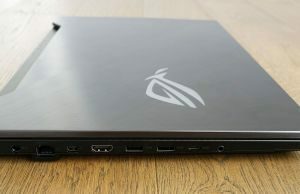 At the same time, with some of the competitors adopting more subtle design lines in 2018 with fewer graphic patterns and lit elements, Asus decision of staying put with the aggressive GAMING design is antagonizing and might steer some potential buyers away, while at the same time it might still attract others. 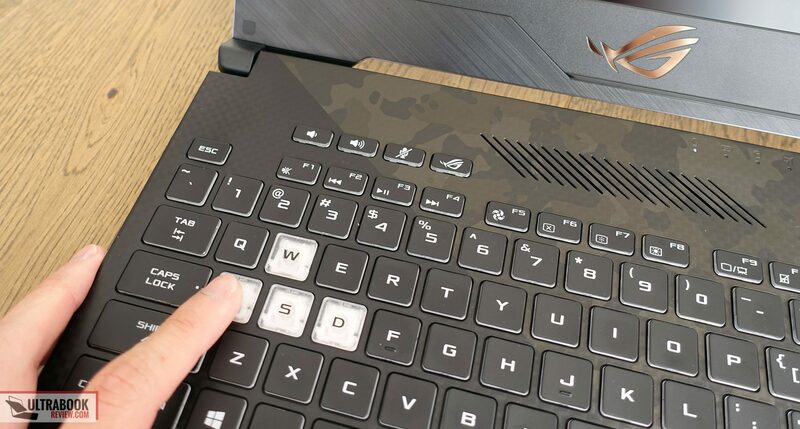 The keyboard hasn’t changed much from the GL503s and in fact from previous ROG Strix laptops, and that’s mostly good news, as it’s a good typer with proper feedback and no major layout issues. The directional keys and NumPad section are a bit cramped though, but that aside, there’s little co complain about. 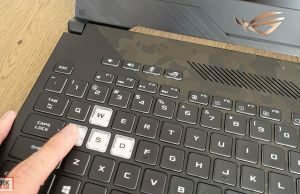 Aside from the normal set of keys, Asus includes a few extra multimedia keys at the top, and as a particularity of this series, the WASD keys are made from clear plastic, allowing the illumination to be more visible. 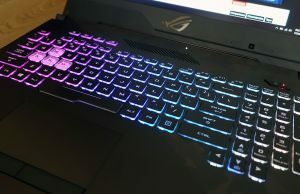 Speaking of illumination, the keyboard comes with four RGB zones that can be tweaked from the included AURA software. 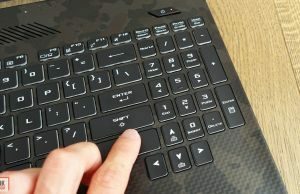 That’s good, but other OEMs actually offer the ability to individually control each key, so sticking to zone illumination only might not satisfy some of the pickier users out there. 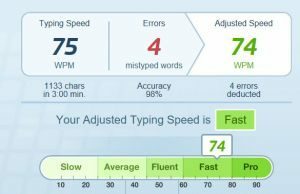 As far as typing goes, this keyboard is fairly fast and accurate, with a nice feedback and click response that don’t require much time to get used to. 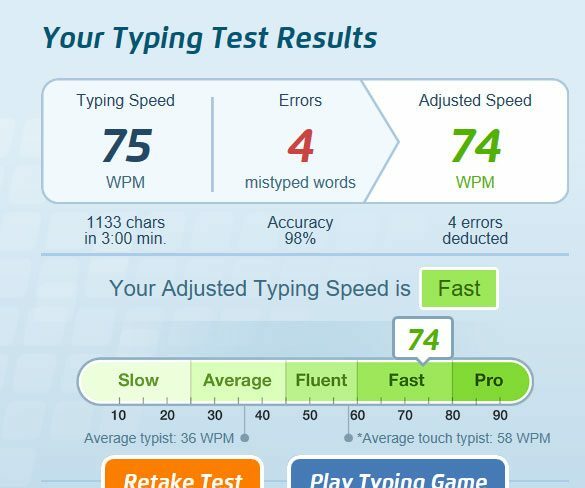 It’s not exactly down my alley, as the keys feel a tad mushy and I had to hit them a little harder in order to actuate properly, but for most users I’d reckon it will do just fine. 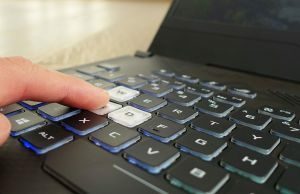 Keep in mind this keyboard is also a little on the loud site, due to its longer travel, so might not be ideal for typing in very quiet places. 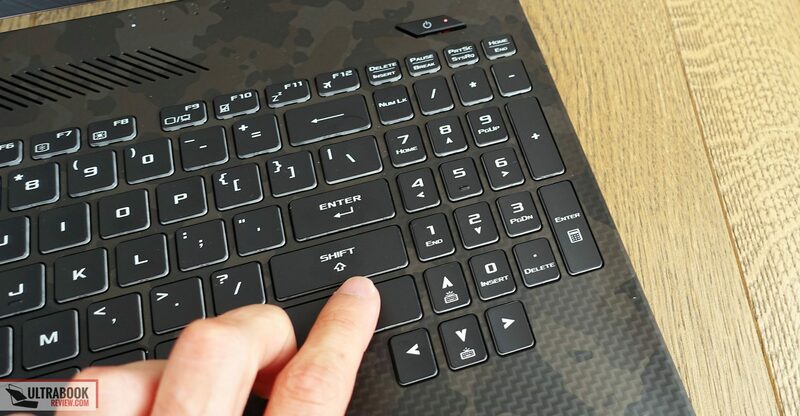 The trackpad, on the other hand, is pretty much excellent, with a plastic surface and Precision drivers, as well as smooth and quiet dedicated click buttons. Well done here. 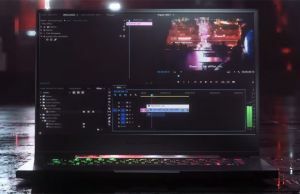 For the screen Asus went with a matte IPS FHD panel made by AU Optronics, with 144 Hz refresh rate and very similar to the one MSI uses on the GS65 Stealth Thin. 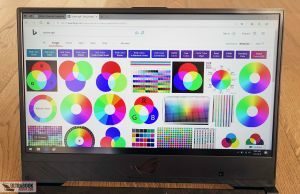 It’s not the kind of screen you’ll use for color accurate work, as it only covers 75% of the Adobe RGB gamut, but that aside it’s a fairly solid option for everyday use, multimedia and especially gaming, due to its higher refresh rate. Details below. 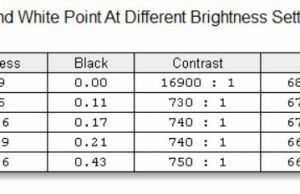 Black on max brightness: 0.37 cd/m2. 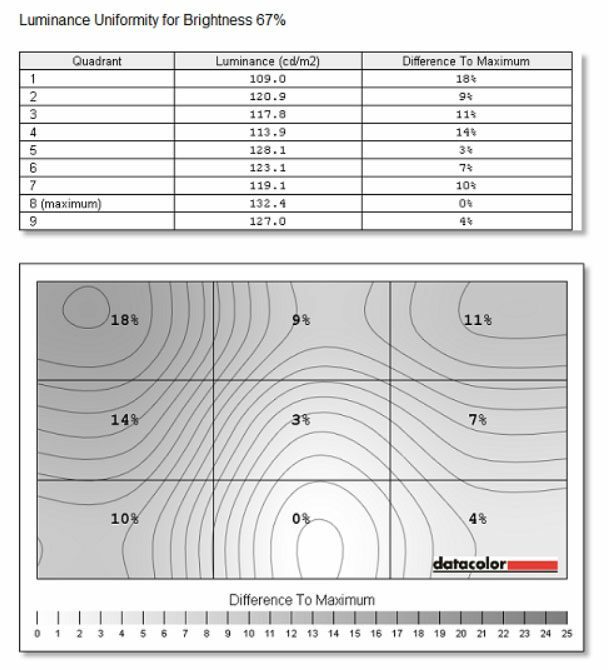 The panel is well calibrated out of the box, but you can also try our calibrated profile available over here. 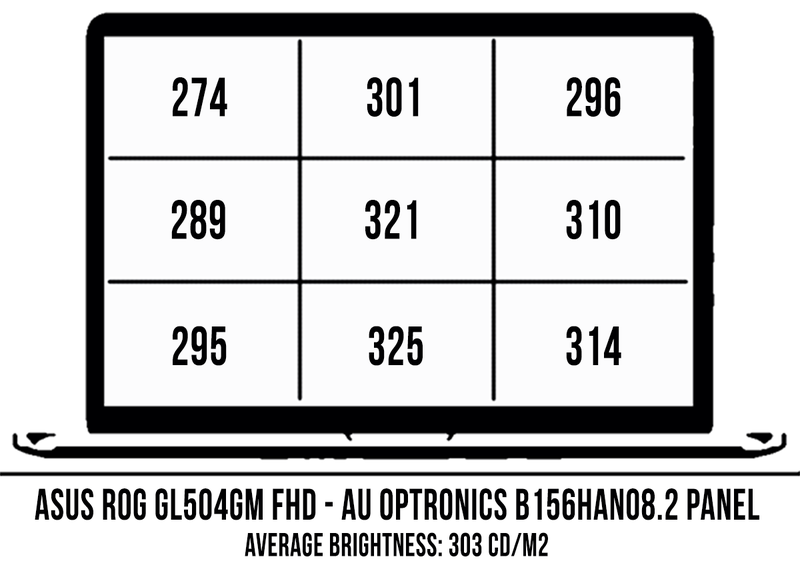 Aside from these, this panel doesn’t use PWM for brightness modulation and it’s also fairly fast, which will once more satisfy those interested in games. 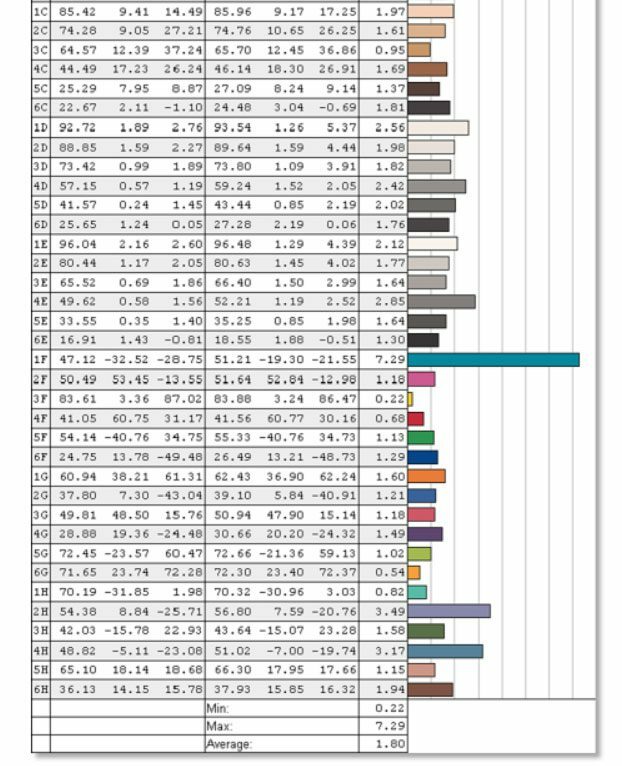 I did however notice significant color and luminance uniformity issues with our sample, as you can see in the pictures above, so you’ll want to further look into this matter and find out if it’s an isolated occurrence, or something that plagues all GL504 models. 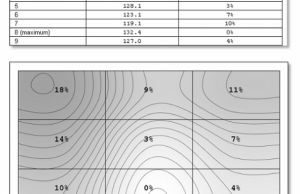 I’d probably put my money on a quality control issue with our sample, as I haven’t seen others complaining about the same quirk. 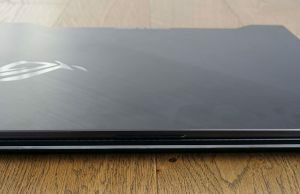 We got to test a high end configuration of the ROG Strix GL504GM notebook, with the six-core Intel Core i7-8750H processor, 32 GB of RAM (2x DIMMs), dual storage and the Nvidia GTX 1060 6GB graphics chip. 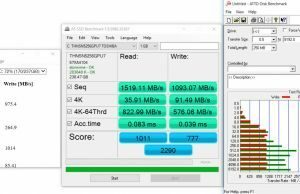 The included SSD is fairly fast, while the HDD, well, it’s a 5400 rpm HDD… Asus will mostly sell this laptop with 16 GB of RAM, but the hardware is easy to upgrade in case you want to add more. 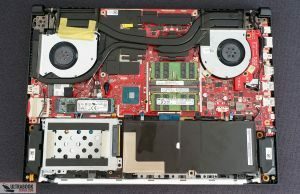 You’ll have to remove the entire back panel, hold in place by a handful of Philips screws, in order to get to the internals, as there’s no quick access bay. 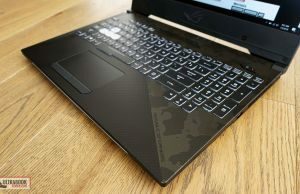 Most of you will be interested in how this laptop deals with games and heavy load activities. 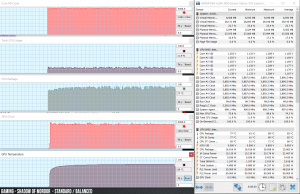 We’ll get to that in a second, but first here’s what to expect in terms of performance and temperatures with daily use scenarios. 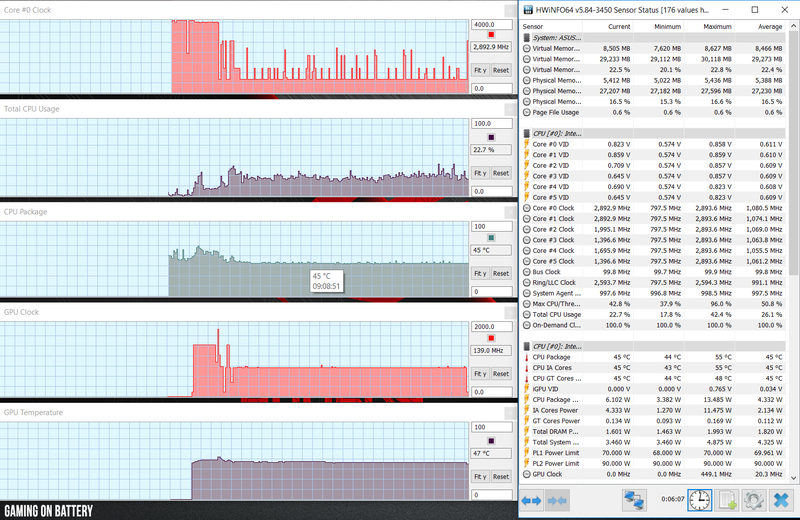 OK, with that out of the way, let’s jump to the actual tests. 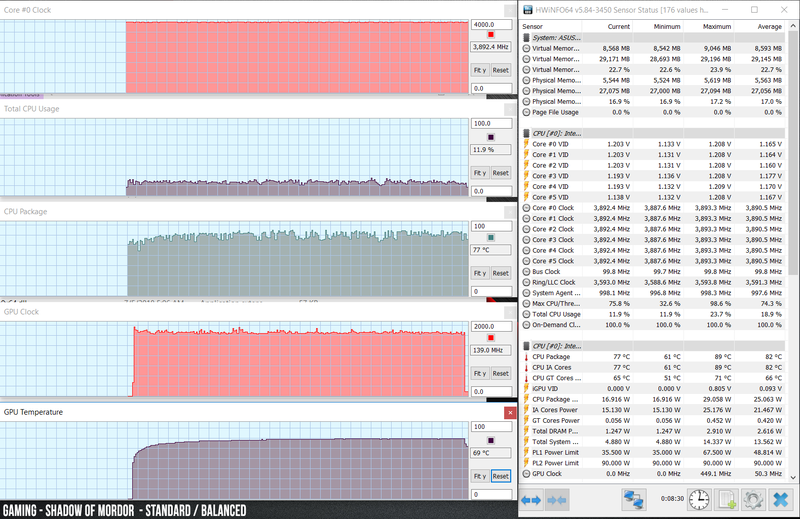 First we tested the CPU’s performance in 100% loads, simulated by running Cinebench R15 in continuous loops on the Balanced fan profile. 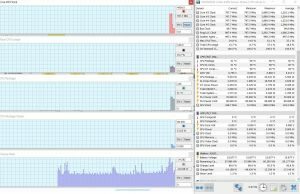 Asus also offers an Overboost profile that pushes the fans to higher speeds, but also makes the laptop obnoxiously noisy, so we conducted most of our tests on the more humane Balanced fan profile. 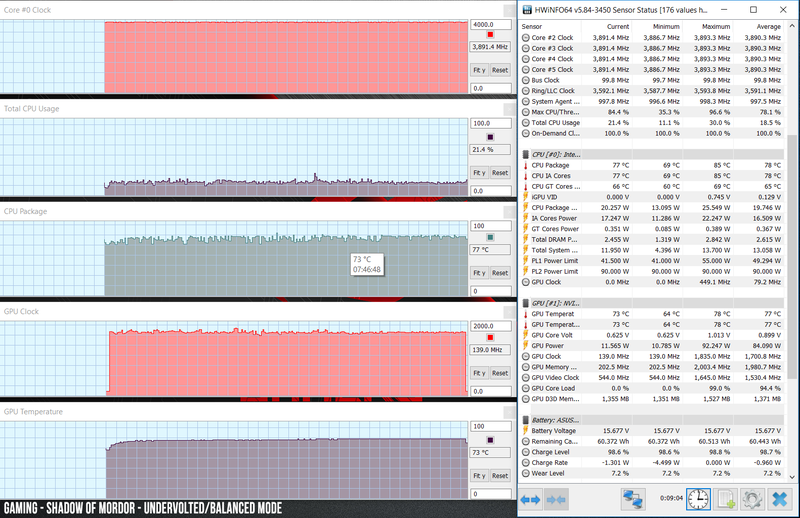 As you can see below, there’s absolutely no performance drop, the CPU runs at at a constant TDP of around 43-44W, but does reach high temperatures of 95-96 Celsius. 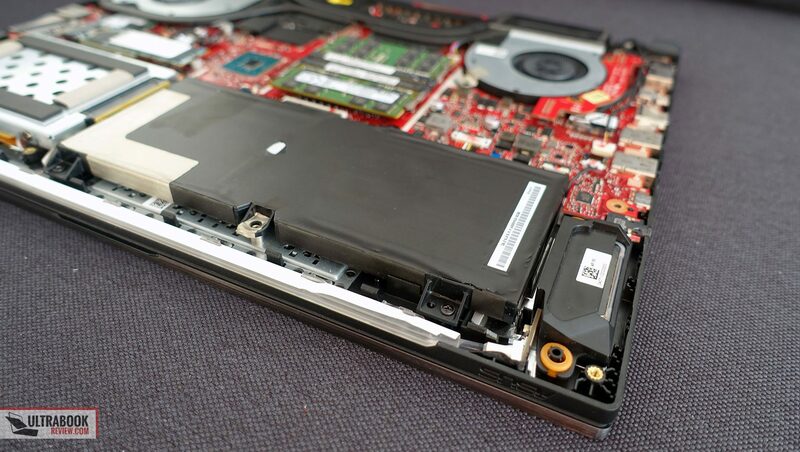 Given that undervolting the CPU is in our opinion a safe procedure that improves performance and lowers temperatures, we undervolted the laptop with ThrottleStop (the process is explained in this article). 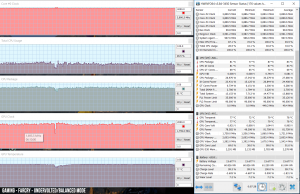 Our sample wasn’t stable at -120 mV, so we bumped the voltage to -100 mV to get rid of the crashes and then we ran the Cinebench R15 loop test once more. 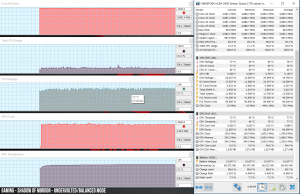 The picture below shows that the CPU runs at a higher average TDP of around 52 W in this case, but also at lower temperatures of only 86-87 Celsius. 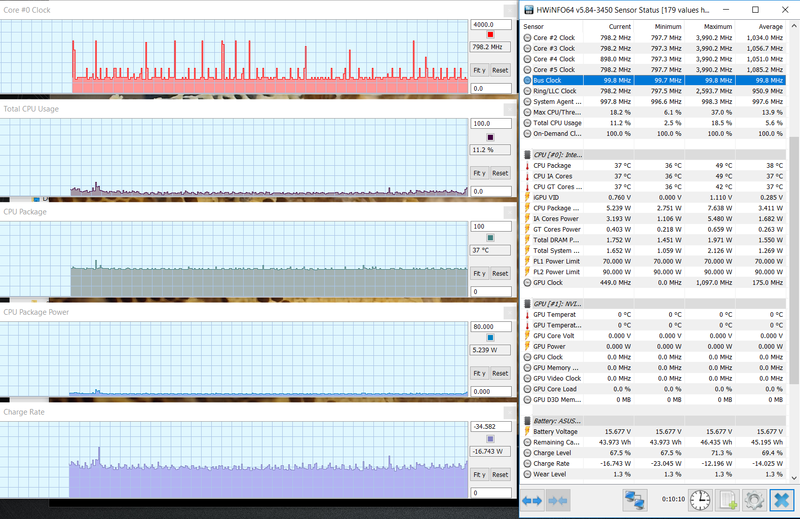 There’s no significant increase in performance though, as the default setup already ran at constant maximum Turbo Frequencies, but undervolting makes sense here anyway, as it improves the laptop’s thermals. 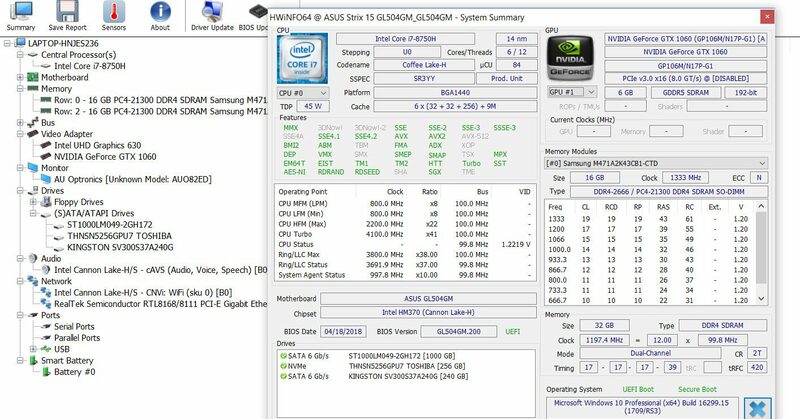 CineBench R15: OpenGL 103.12 fps, CPU 1224 cb, CPU Single Core 172 cb. 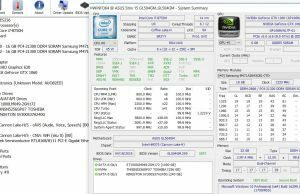 CineBench R15: CPU 1226 cb, CPU Single Core 173 cb. 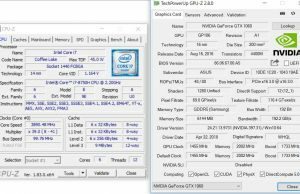 As already mentioned above, undervolting has limited to no impact on the actual performance numbers, as the default configuration offers pretty much what you can expect from this kind of hardware. As far as gaming goes, here’s what to expect. 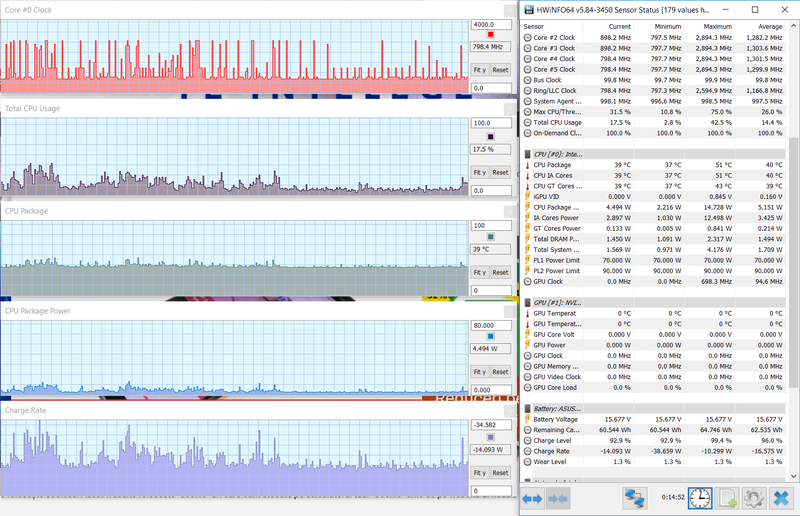 You can also have a look at the HWinfo logs below, logged on both the standard and the undervolted CPU profile. 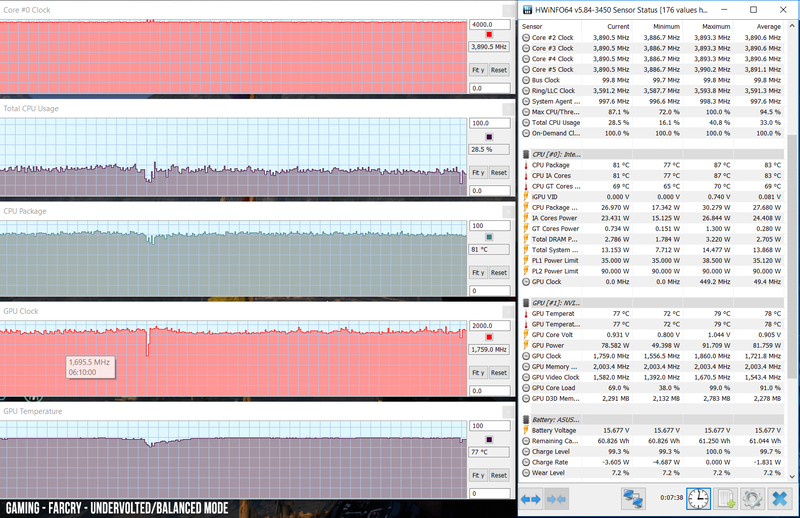 The CPU and GPU run flawlessly in both cases, but you can notice 4-5 degrees Celsius lower temperatures on the CPU with the undervolted profile, with little to no effect on the GPU side. 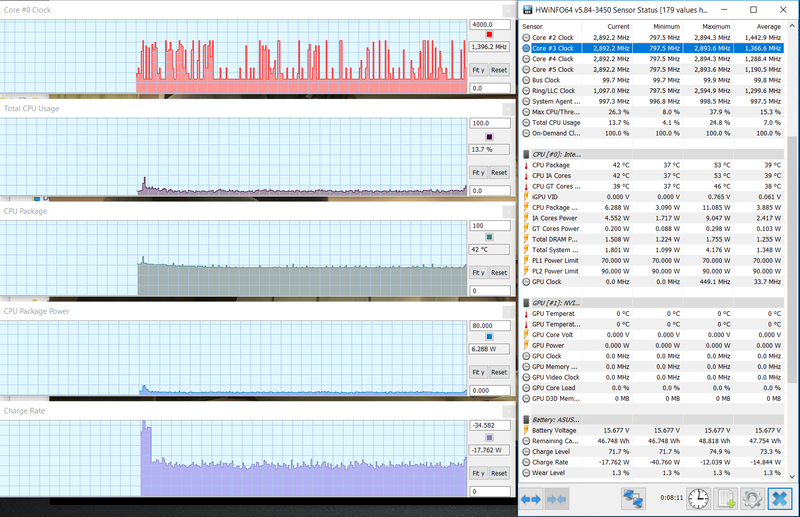 Switching the fan mode to Overboost lowers those temperatures by 2-3 degrees, but given the noise difference (~52 dB for Balanced, ~57 dB for Overboost) and the way the laptop performs on Balanced mode, there’s absolutely no reason to ever use the Overboost mode. 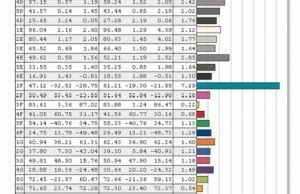 You might, however, want to use the Silent profile, which keeps than fans at bay and significantly lowers the noise level perceived at head level to only 41-42 dB, but as you can see in the following log, this takes a significant toll on performance, lowering the GPUs clock speeds by about 30%. 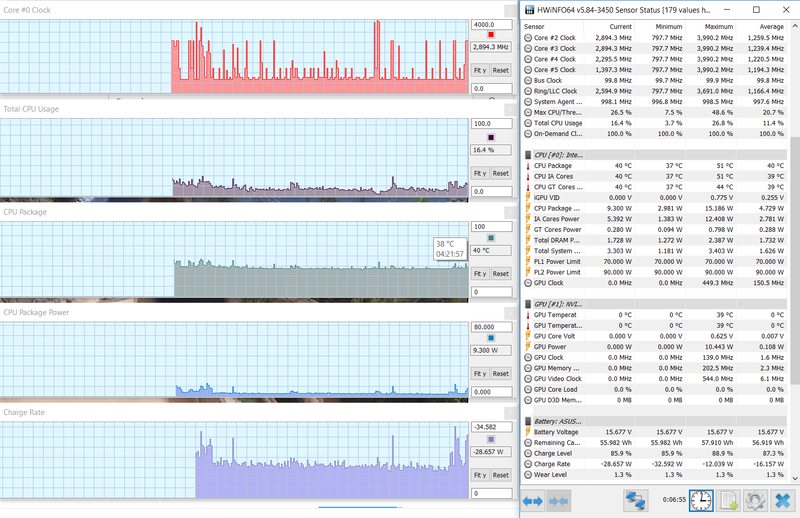 Gaming on battery is also mostly a no-no, as both the CPU and GPU are drastically snipped in this case. 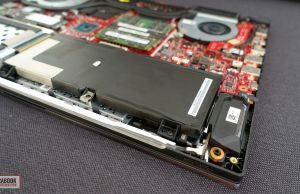 Asus developed an interesting cooling solution for this laptop, an upgrade from what they’ve previously used on the GL503 series. 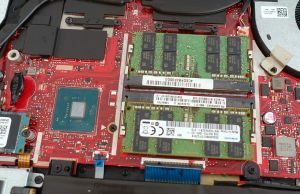 It gets two 12V fans and three heatpipes, with a redesigned layout, with a long and thick heatpipe for both the CPU and GPU, but also dedicated heatpipes for each of them. The GPU heatpipe is longer and the GPU fan actually gets two radiators, one on the back, and another on its side. 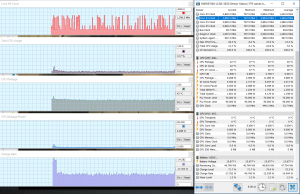 As suggested by what we covered in the previous section, this implementation does an excellent job at keeping the i7 and GTX 1060 configuration at bay. Asus offers three fan profiles, like with most of their recent ROG laptops: Silent, Balanced and Overboost. 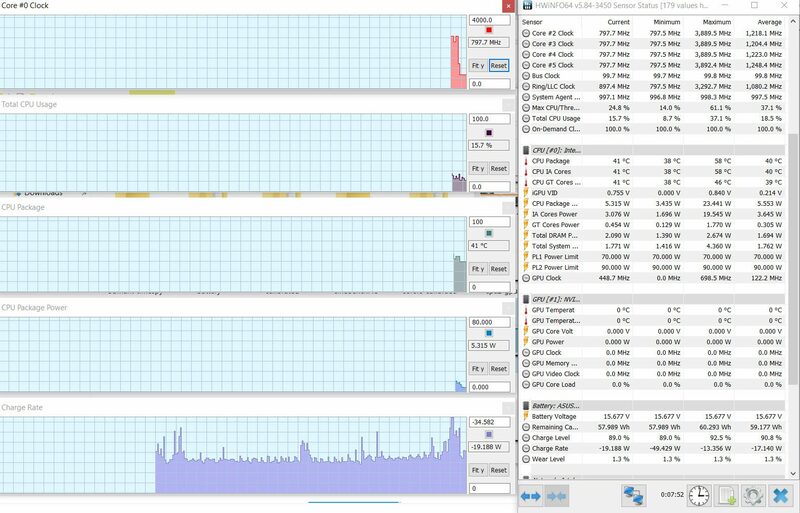 I suggest keeping the laptop on Balanced most of the time, as it keeps temperatures within good margins and it’s not that noisy either. 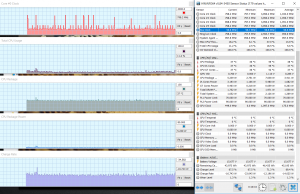 With daily use the GPU fan is switched off most of the time on the Balanced mode, and while the CPU fan is active, it’s barely audible even in a quiet environment. 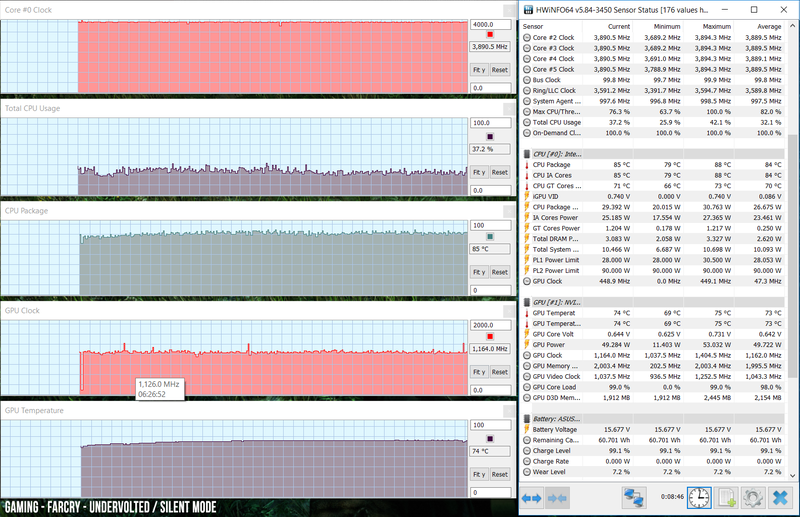 Switching to Silent makes little to no difference. 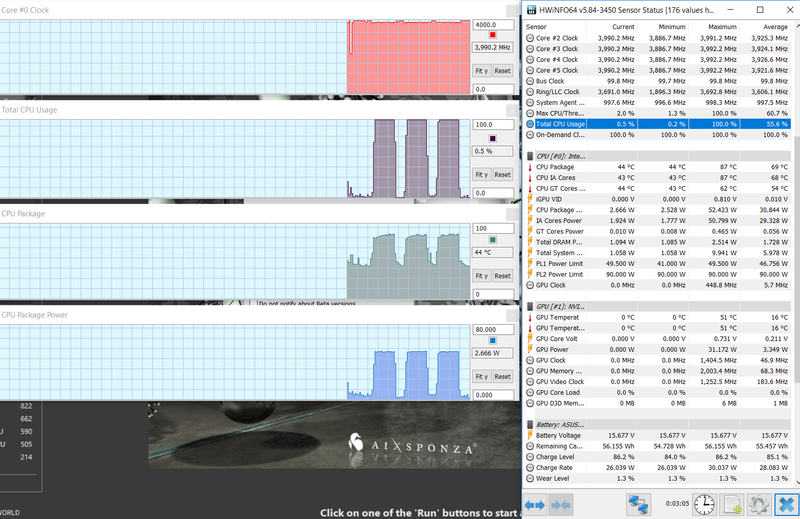 I did however notice a fair amount of electronic noise on our sample, and you’ll also hear the spinning HDD when active. Both fans ramp up with games. 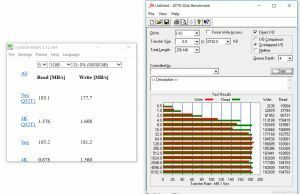 On Balanced mode, we measured about 51-52 dB at head-level, which is noisy, but not noisier than on other laptops with similar hardware. 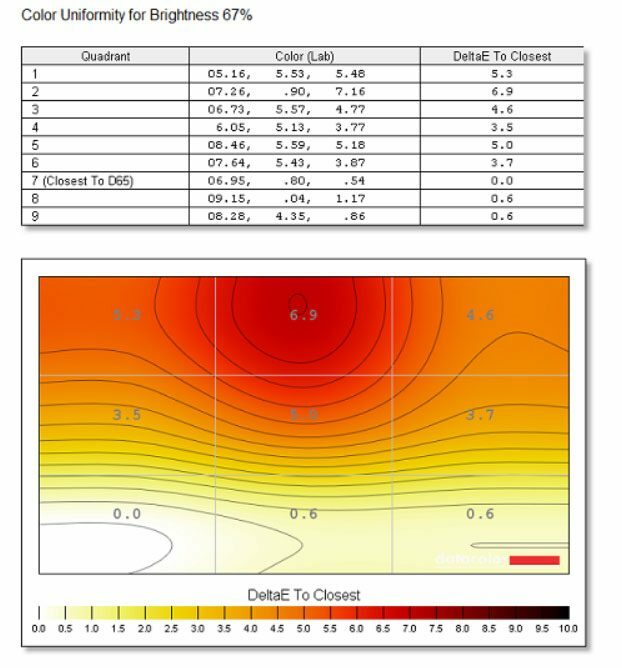 Switching on to the Silent mode lowers the noise to just 41-42 dB, but at the same time takes a toll on performance, so it’s not recommended in most situations. 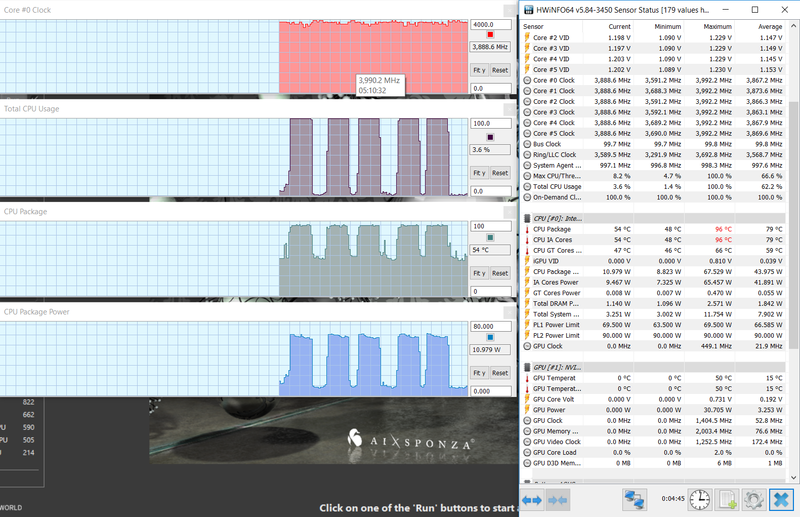 Switching to Overboost ramps up the fans and makes them much louder, at up to 56-57 dB at head-level, while slightly lowering the CPU/GPU temperatures by 2-3 degrees Celsius compared to the Balanced profile, but given the fact that temperatures are well within limits on Balanced, especially after undervolting the CPU, I see no reason to ever use Overboost on this laptop. 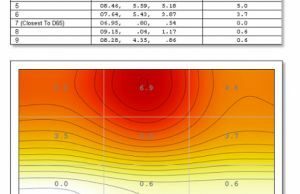 Her’s what to expect in terms of outer-shell temperatures, on the Balanced fan profile. 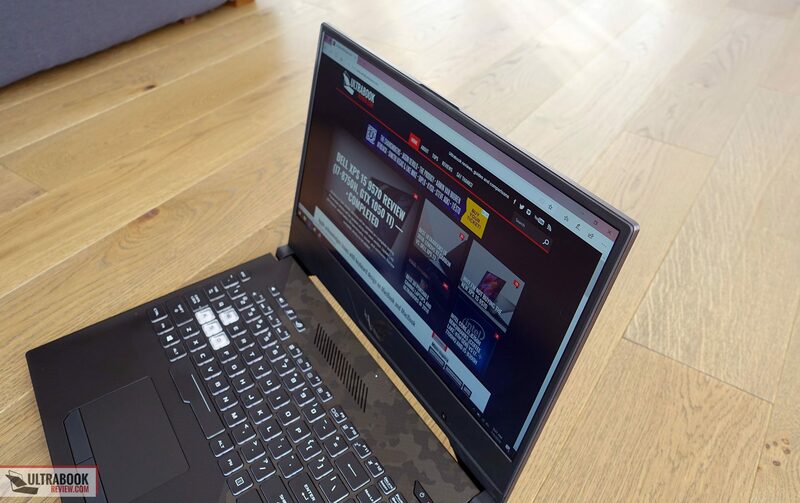 For connectivity there’s Wireless AC, Bluetooth and Gigabit Lan on the ROG Strix GL504GM, and they all work just as expected. 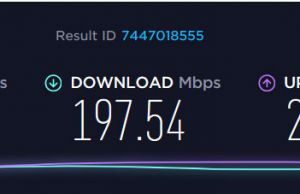 The Wireless connection is not as fast as on other modern laptops we tested recently with our setup, despite the fact that Asus went with a second Wave Intel 9560 chip here, but it’s not slow by any means either. I’d reckon future drivers should also help with the performance. 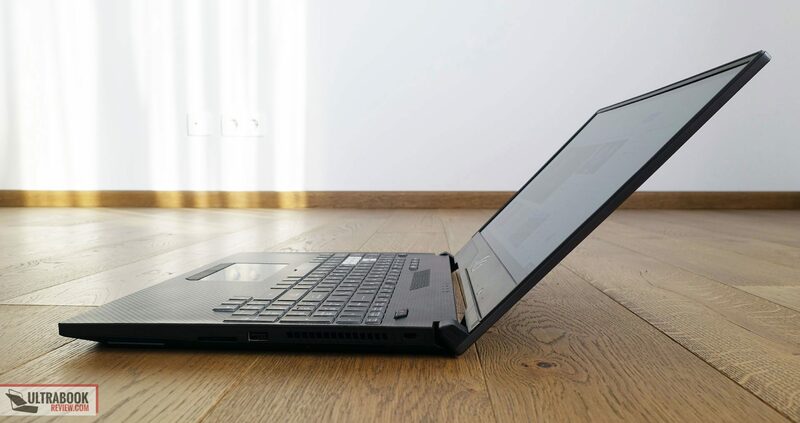 The audio is ensured by a pair of punchy speakers that fire through cuts on the laptop’s sides. They’re fairly loud, at up to 80-81 dB at head level, and they sound fairly good and rich, with little distortions at higher volumes. We had an issue with the speakers on our sample out of the box though, with one of them distorting massively. 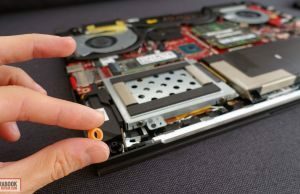 When we opened the laptop we noticed that the actual speakers are connected to the main frame through some small rubber gaskets, the orange pieces in the following pictures, which are meant to reduce vibrations and distortions. One of these gaskets wasn’t properly installed on our unit though, which caused the entire issue, but it was an easy fix once we got it back where it was designed to be placed. 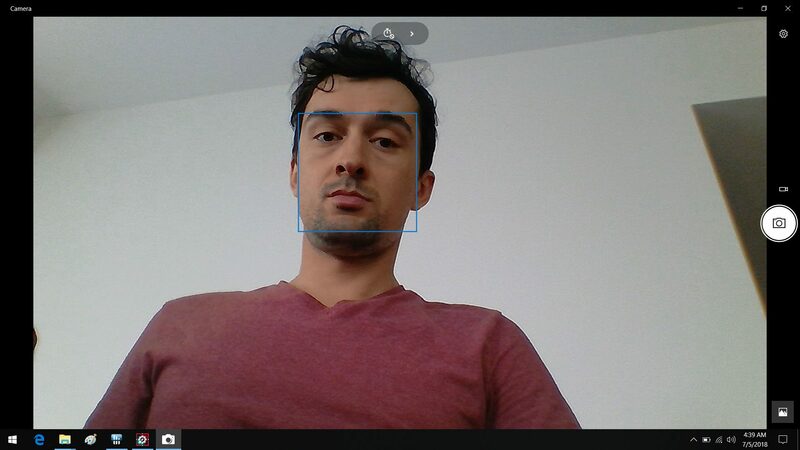 One final aspect to mention here regards the webcam, which is rather crappy. 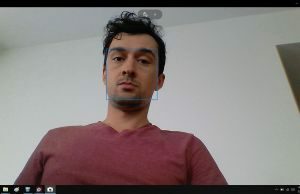 On one side, it’s a nose-camera, placed beneath the screen, towards the right corner, and on the other it also takes poor pictures, even in well lit rooms. So if you plan to use this camera for streaming or anything other than occasional calls, you’ll be disappointed. 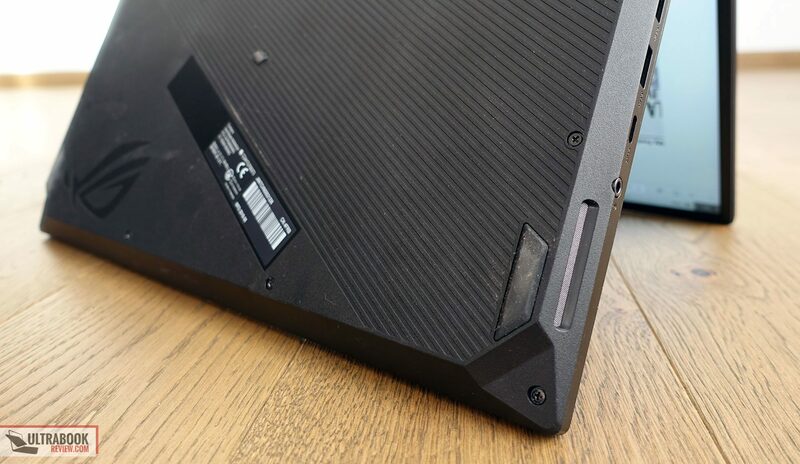 The ROG GL504 GM gets a 66 Wh battery, a bump from the 62 Wh one used on the previous lines. It’s still fairly average in size, but bigger than what most other OEMs put on some of the more affordable alternatives. 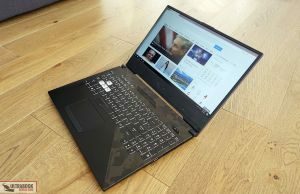 There’s also Optimus implemented on this notebooks and no GSync, but even so the high-refresh rate does take its toll and the battery life expectations are about average. 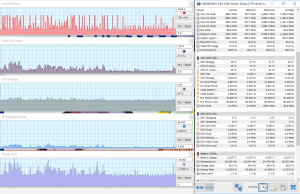 44 W (~1 h 30 min of use) – gaming on battery, High Performance Mode, screen at 30%, Wi-Fi ON. 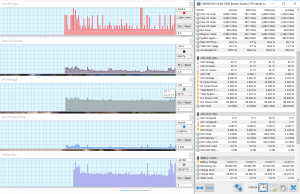 Asus pairs this configuration with a 180 Wh power brick. It’s averagely sized and weighs around 1.35 lbs (.6 kg) for the European version, including cables. A full battery charge takes about 2 hours. 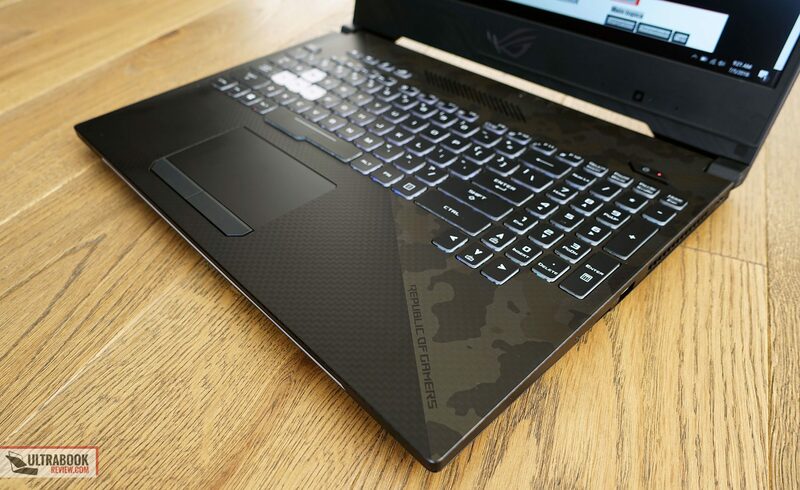 The ROG Strix GL504GM Scar II Edition is available in most regions of the world as of July 2018. The most widely spread configuration and the one that makes the most sense to buy gets you the Core i7-8750H processor, 16 GB of RAM (1 stick), the GTX 1060 6GB graphics, a 256 GB PCIe SSD and a 1 TB HDD, as well as the 144HZ matte screen, for an MSRP of $1699 in the US. In Europe you can find slightly lower end configurations with just a 128 GB SATA SSD for around 1500-1600 EUR, so I’d expect the GL504GM to get cheaper in the US as well in the following months. There’s very little not to like about this 15-inch Asus ROG Strix GL504GM. The build, the keyboard, the display, the speakers, the hardware and especially the way this laptop performs in everyday use and with games are among the best you can find in a mid-range full-size device. 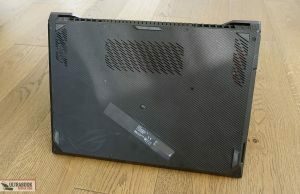 Of course, there are still some quirks you’d have to accept, like the crappy webcam, the electronic noise, the lack of a Thunderbolt 3 connection or the arguable design decisions with all the lights and graphics patterns, but for the most part these shouldn’t be deal breakers for most of you. The price on the other hand might be. 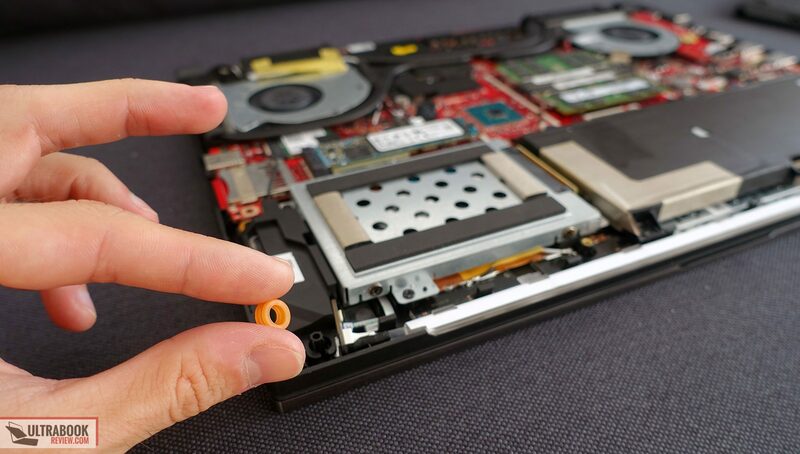 If you’re looking for the best gaming performance you can get for your buck, this is not the laptop to get. The Acer Helios 300 for instance offers the same kind of hardware and a similar 144 Hz screen for just $1200 at the time of this post, albeit in a larger body and with a smaller battery. 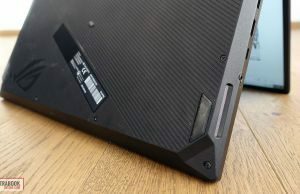 Then there are also the the Sager NP7851/ Clevo N850EP6 and the soon to be available Lenovo Legion Y730, both similar in terms of specs, with smaller batteries, but also more affordable. 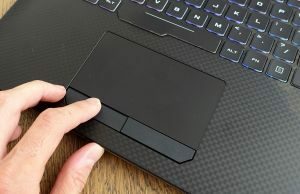 And then if you don’t care about a 144 Hz screen, you can also consider laptops like the Alienware 15, MSI GE63 Raider, Asus TUF FX505, Asus TUF FX504, Dell G7 7588 or the HP Omen 15. 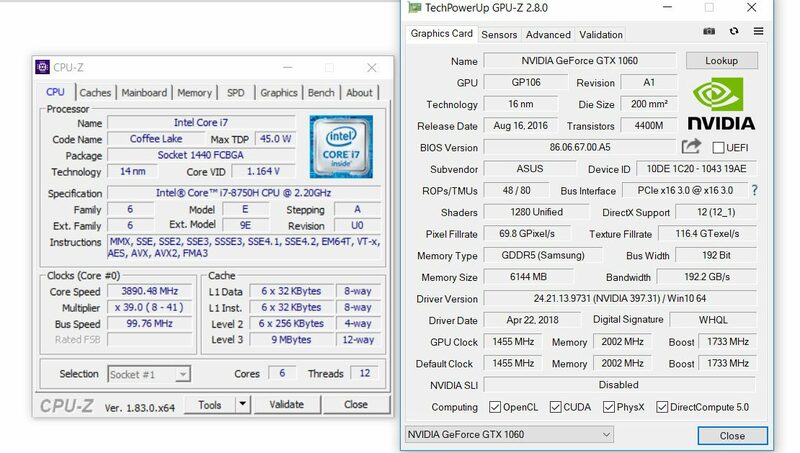 Last but not least, if gaming is all you’re interested in, you could also consider one of the older GTX 1070 options out there with 7th gen quad-core CPUs, like the Asus ROG Strix GL503VS, Alienware 15 or the Acer Predator 15, which will perform better in games, despite having a slower processor. 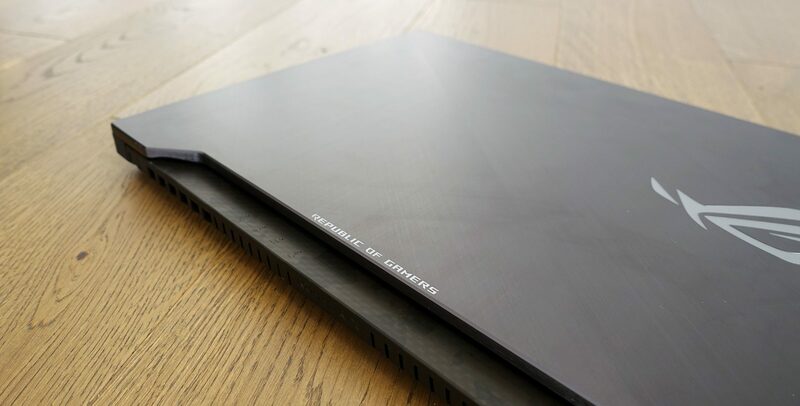 On the other hand, it’s true there are also more expensive GTX 1060 laptops out there, like the MSI GS65 Thin, Gigabyte Aero 15X, Asus Zephyrus S GX531 or the Razer Blade 14, but those are premium ultraportables with smaller, lighter and overall better builds. Hello Andrei. First: congrats and many thanks for the job you are doing here.